I'm on an oatmeal kick and it's not even the middle of winter! 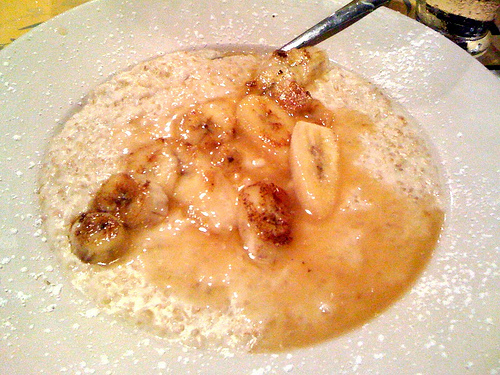 Bananas Foster Oatmeal at Flour City Diner. I like my oatmeal fancy. Hmm they both look delicious! 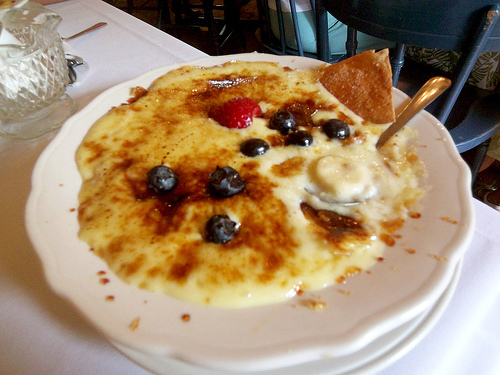 There are no words to describe how much I LOVE bananas foster. On oatmeal? Sounds delicious!! OMG they both look so good. Is there any other way to eat oatmeal but fancy?